There are a few prepackaged pantry staples I can’t live without. Canned tomatoes would definitely be one of them (at least until I learn how to can fresh tomatoes next summer). And once I learned how to make a Basic Tomato Sauce from scratch, dried pasta became another pantry staple we always have on hand. This sauce is intended to be ‘basic’ and is a wonderful base to build upon. Changing up the herbs and the aromatics will add complexity. Adding a dash of Balsamic, I’ve learned recently from Shelby, will give the sauce a wonderful finish. And adding red pepper flakes early allows a gentle heat to build. Experimenting is the best part of cooking….well, right after eating. This basic tomato sauce helps deliver Chicken Parmesan…with easy comfort. 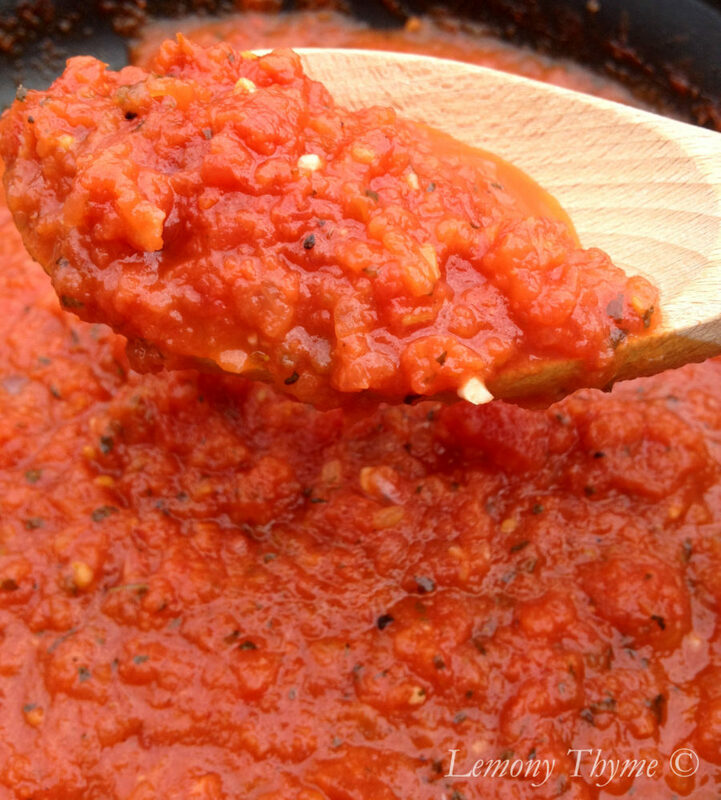 Having canned tomatoes on hand allows you to make this basic tomato sauce in about 15 minutes. In a 3 qt. heavy saucepan, heat olive oil of medium heat. Add onion, garlic, carrot, and thyme and cook until onions are soft, about 8-10 minutes. Add canned tomatoes with juices and bring to a boil. Then lower heat and simmer another 5 minutes. For smooth sauce, puree in blender. Before blending, I will generally reserve about ½ cup of sauce to add back in. I like the texture it gives.